Fox News has announced the fourth GOP debate criteria, rules, and who the moderators will be. The debate, which will take place Tuesday, Nov. 10, will be moderated by Fox Business Managing Editor Neil Cavuto, Fox News Global Markets editor Maria Bartiromo, and Wall Street Journal editor-in-chief Gerard Baker, according to Politico. 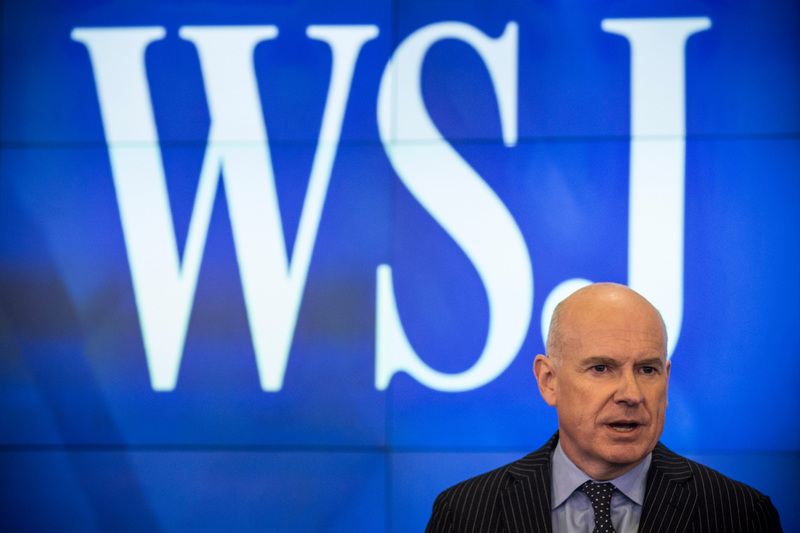 Who is moderator Gerard Baker of Wall Street Journal ? He has a strong track record as an economics writer, so he will definitely call the candidates out on economic plans that don't add up. Fox News announced that there will be two debates, a main debate and an undercard debate, and both will focus on jobs, taxes, and the economy. The debates will be held at the Milwaukee Theatre in Milwaukee, Wisconsin. Just prior to becoming the WSJ's editor-in-chief, Baker was the paper's deputy editor-in-chief from 2009 to 2013, according to his WSJ biography page. Before that, he worked for news institutions such as the Times of London, the Financial Times as a Tokyo correspondent, and he covered economics for the BBC. Baker was born and raised in Britain, where he was obsessed with politics as early as age 8, according to an interview with How Did They Do It, a series of interviews exploring success. He went on to attend Oxford University, where he studied politics, philosophy, and economics. Moscow and Leningrad were just these monolithically grey, dull, lifeless places. To cap that by going to New York three or four months later, with all its color and diversity, whatever remaining doubts I might have had about the relative virtues of the capitalist system versus the communist system were removed. Baker has been credited with helping grow the WSJ's readership in a time when free, digital media is killing most legacy newspapers. But he isn't praised in the same way that many mainstream media editors are. Rather, Baker was called a "neoconservative" and "anti-Obama" by the New York Times in 2007, according to the Guardian. But Baker has insisted that he is simply trying to "play it straight" when many news media are taking partisan positions on either the extreme left or ring wings. Baker is also the father of five girls who is caught between whether he would tell them to go into journalism as a career. He has described journalism as an industry where employees will always struggle to make money, but he has also said that "the calling of journalism is magnificent," according to the Guardian. Baker hasn't specified just what economic issues he will be most interested in during the debate, but what's clear is that he won't be catering to the candidates with right-wing questions that simply allow them to elaborate on their economic policies. Baker's more moderate stance and experience in economics will allow him to challenge the candidates on the feasibility of their plans and hopefully make them sweat a little.